Why is Calli Tea better than green tea? Calli is green tea plus additional herbs with more benefits! Calli is better than just green tea because the leaves within the Calli tea bags are concentrated with 5 different alkaline based herbs for added benefits and more natural antioxidants. Plus, each tea bag can brew 4 cups (1 quart, 32 oz or 1 litre). Calli Tea works with the body's natural cleansing properties to support digestive functions. It stimulates fat metabolism, contributing to healthy weight management and provides powerful antioxidants to neutralize the free radicals that are responsible for cell damage as the human body ages. ►Calli Night - an herbal tea for people who want to get a good night's rest, naturally. What are the benefits of Calli Tea? Concentrated with an abundance of antioxidants for anti-aging. Neutralizes free radicals that cause cell damage as we age. Supports healthy liver and kidney functions. Promotes a smooth digestive system. Assists in the body’s natural cleansing properties to eliminate toxins. Stimulates fat metabolism, contributing to healthy weight management, reduced cholesterol, and less plaque buildup. Good for mental clarity and vitality throughout the day. Delivers alkaline properties, helping neutralize excess acid in the body. Calli Tea does not contain added sugars, artificial sweeteners or chemicals. Calli Tea is an all natural replacement for coffee, teas with excess caffeine, or other herbal beverages that contain medicinal herbs. Calli Tea is made with food grade herbs, not medicinal herbs. 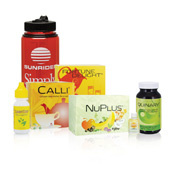 ►Calli is good for a healthy pH balance. 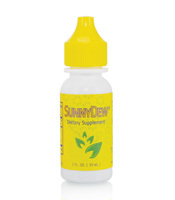 Enhance the flavor of your Calli Tea with Sunnydew All Natural Stevia, not sugar or artificial sweeteners. "I have suggested to so many people how Calli tea has helped my body fat % come down from 32% to 26%. I drink it before my workouts and it gives me so much energy to keep going hour after hour. Four people have trusted my word and decided to purchase it and were truly amazed how it made them feel right away." "My mom and dad sent me some Calli tea and some Fortune Delight, they mentioned that it would help me lose weight but I am a skeptic and didnt believe them, so I just drank it to be drinking tea, and within 4 days of starting this drink, I lost 3 whole pounds! I did not change what I ate or anything just added the tea to my daily drinking, and I am no longer skeptical about this WONDERFUL product!! Thank you so much!!! *Please note: Any weight loss program should include exercise and a sensible diet with high-fiber, low-fat foods such as vegetables, fruit, lean white meats or fish. 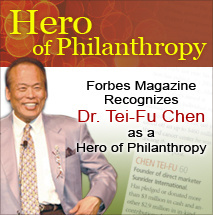 Dr. Tei-Fu Chen has formulated Calli and all of our Sunrider products for optimal safety and effectiveness. Dr. Chen understands that all herbs, including Camellia Sinensis (green tea), have good properties (tea catechins) and negative properties (tannins and caffeine). His philosophy is to combine the herbs in such a way as to minimize the negative characteristics while maximizing the positive benefits. Tea Catechins are naturally occurring plant polyphenols found in Camellia sinensis (green tea), the primary ingredient in Calli (and Fortune Delight). These natural antioxidants have been shown to be effective in absorbing damaging free radicals that contribute to premature aging. Recently, many people have discovered the various health benefits of green tea. Calli has been made with green tea for over 33 years. However, Calli is much more than just green tea. It's an exclusive formula created with other herbs, concentrated for proven effectiveness. While many of the undesirable elements we take into our body are quickly eliminated, others are not. Combined with a healthy meal and exercise program, the unique herbal extracts in Calli assist in the body's natural cleansing processes. Camellia Leaf, Perilla Leaf, Mori Bark Extract, Alisma Root Extract, Imperate Root and less than 1% of Natural Flavors. Steep one Calli Tea Bag in 32 ounces of hot water (not boiling or microwaved) for 3-5 minutes.